Gunmetal Cross Necklace by Montana Silversmiths. 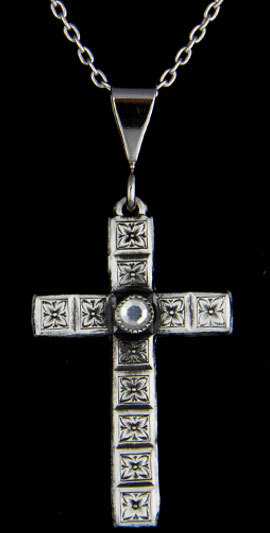 Cross pendant is 1.50" x 0.75"
Handcrafted in Montana, USA of antiqued nickel silver. Usually ships in 1 - 14 days.